One has a moral responsibility to disobey unjust laws. 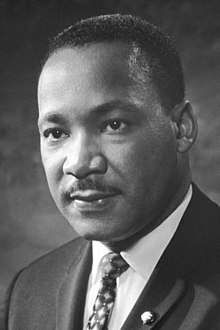 ~ Martin Luther King, Jr.
An individual who breaks a law that conscience tells him is unjust, and who willingly accepts the penalty of imprisonment in order to arouse the conscience of the community over its injustice, is in reality expressing the highest respect for law. ~ Martin Luther King, Jr.
Civil disobedience refers to the active refusal to obey certain laws, demands and commands of a government or of an occupying power without resorting to physical violence. Hannah Arendt, Crises of the Republic (1969), "Civil Disobedience". Augustine, On Free Choice of the Will, Book I, p. 8. From all these indignities, such as the very beasts of the field would not endure, you can deliver yourselves if you try, not by taking action, but merely by willing to be free. Resolve to serve no more, and you are at once freed. I do not ask that you place hands upon the tyrant to topple him over, but simply that you support him no longer; then you will behold him, like a great Colossus whose pedestal has been pulled away, fall of his own weight and break in pieces. Closely allied with this earnest longing to see and know the truth, is a kind of dignified and princely sentiment which forbids a mind, naturally well constituted, … to yield obedience to any orders but such as are at once just, lawful, and founded on utility. Cicero, De Officiis, Book 1, § 13. Archibald Cox, Civil Rights, the Constitution, and the Courts (1967: Harvard University Press), pp. 22–23 (40 N.Y. State B.J. 161, 169 (1968)). Civil Disobedience is civil breach of unmoral statutory enactments. The expression was, so far as I am aware, coined by Thoreau to signify his own resistance to the laws of a slave state. ... But Thoreau was not perhaps an out and out champion of non-violence. Probably, also, Thoreau limited his breach of statutory laws to the revenue law, i.e. payment of taxes. Whereas the term Civil Disobedience as practised in 1919 covered a breach of any statutory and unmoral law. It signified the resister's outlawry in a civil, i.e., non-violent manner . . . Until I read that essay I never found a suitable English translation for my Indian word, Satyagraha. Mohandas Karamchand Gandhi, Young India (23 March 1931). Mohandas Karamchand Gandhi, as quoted in Mahatma Gandhi and Martin Luther King Jr: The Power of Nonviolent Action (1999) by Mary King, p. 231. If a law commands me to sin I will break it; if it calls me to suffer, I will let it take its course unresistingly. The doctrine of blind obedience and unqualified submission to any human power, whether civil or ecclesiastical, is the doctrine of despotism, and ought to have no place among Republicans and Christians. Angelina Emily Grimké, Appeal to the Christian Women of the South (1836), p. 20. How does the fact that ten men may choose to join together for their common protection, impose upon the eleventh man any obligation to go along with them? Quote from Facets of Liberty: A Libertarian Primer, edited L.K. Samuels, Freeland Press (2009), from chapter 1: “Who Authorizes the Authorities?” by Butler D. Shaffer, p. 11. It is not just a concept that indulges protesters, it is a device that stabilizes government, promotes order rather than chaos, and productively ameliorates the tensions of pluralism. Most directly, civil disobedience constitutes a stabilizing or corrective device, allowing a democratic system to rectify its mistakes. 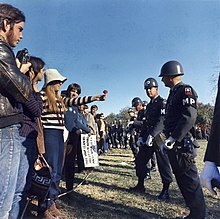 By standing on the border between legal protest and rebellion, civil disobedience serves as a firebreak preventing the disaffected from inching toward rebellion. To illuminate this same concept, envision civil disobedience as a safety valve, drawing off dissent before that unrest boils over into more severe law breaking. Matthew R. Hall, "Guilty but Civilly Disobedient: Reconciling Civil Disobedience and the Rule of Law." Cardozo law review. (04/01/2007), 28 pp. 2083-2829. One has not only a legal, but a moral responsibility to obey just laws. Conversely, one has a moral responsibility to disobey unjust laws. I would agree with St. Augustine that "an unjust law is no law at all." An individual who breaks a law that conscience tells him is unjust, and who willingly accepts the penalty of imprisonment in order to arouse the conscience of the community over its injustice, is in reality expressing the highest respect for law. Luke the Evangelist, Acts 5:29. Men of the most renowned virtue have sometimes by transgressing most truly kept the law. Paul of Tarsus, Letter to the Galatians 2:19. Algernon Sydney, in Discourses Concerning Government (1698), Ch. 3, Sect. 11. Henry David Thoreau, Civil Disobedience (1849). It is not desirable to cultivate a respect for the law, so much as for the right. The only obligation which I have a right to assume is to do at any time what I think right. Under a government which imprisons any unjustly, the true place for a just man is also a prison … the only house in a slave State in which a free man can abide with honor. Curtis White, “The spirit of disobedience: An invitation to resistance,” Harper’s, April 2006, p. 36. Oscar Wilde, “The Soul of Man under Socialism,” ¶ 9.